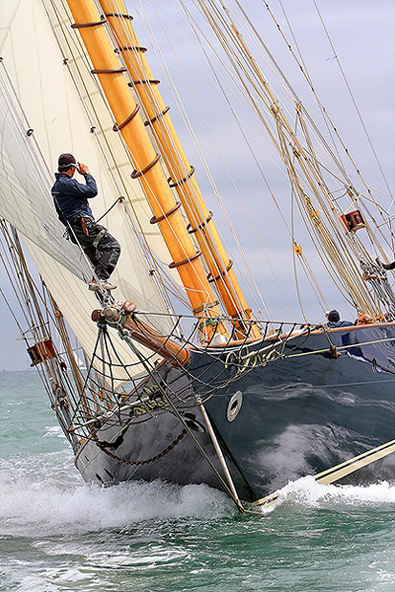 “Mariette is one of the last original great N.G Herreshoff schooners and was built in 1915 for a Boston business man. Amongst other adventures she was requisitioned by the US Coast Guard during the second World war and saw service on the East Coast. After the war she was converted to a staysail schooner rig and then moved to the Caribbean where she was one of the first and probably largest yachts available for charter. In the 70’s she was bought by a syndicate of Swiss bankers and crossed the Atlantic to make her first appearance in the Mediterranean. She has undergone several large refits notably in 1980, 1995 and more recently 2010. In 1995 the rig was converted back to the yachts magnificent, original configuration.